A Dalit girl, Tina Dabi, has emerged as topper in the civil services examination. 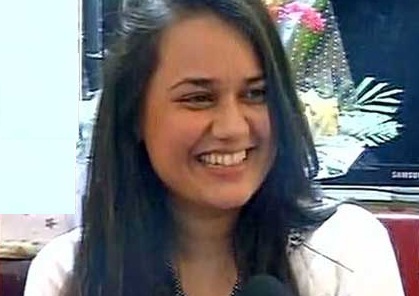 Tina Dabi, who studied in Delhi, has got the first rank in the highly competitive examination. Dabi, 21, managed to clear the examination in her first attempt and secured the top position. After the results, Dalit leader and BJP MP Udit Raj congratulated him, through a tweet. The tweet: "Napoleon said that without opportunity ability can't be cultivated. Dalit gril topped IAS and this could not have been possible 40-50 yrs back", wrote Raj. Though she is from scheduled caste (SC) category, she topped all the candidates from general and other categories, to get first rank. Born to engineer parents in Bhopal, Tina Dabi has been staying in Delhi for years. The dream of becoming an Indian Administrative Services (IAS) officer made her work hard and she managed to achieve her goal early in the life. She graduated from Lady Sri Ram College. Political science was her main subject. Tina said that she had chosen early in life that she would enter civil services.